Since recently, you can now for the first time go and admire Anthony van Dyck’s new self-portrait at the Rubens House. 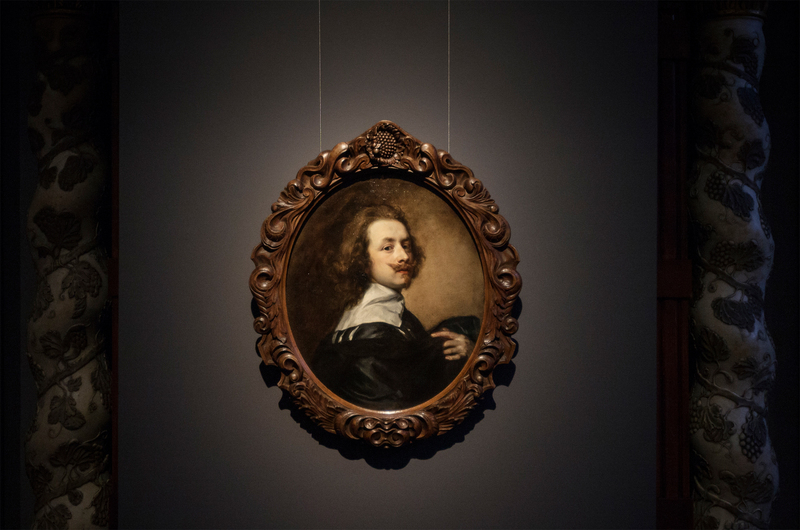 The top piece, which surfaced recently, is almost identical to the well-known self-portrait of Van Dyck at The National Portrait Gallery in London. Anthony van Dyck was the most famous and most accomplished student of Peter Paul Rubens. The Antwerp master probably painted the newly discovered self-portrait at the request of the English King Charles I. Self-portraits of successful artists were prized collectors’ items. Charles I had a small, but exquisite collection of self-portraits by Titian, Bronzino, Giulio Romano, Rubens and … Van Dyck. The King has enormous admiration and affection for his court painter. This is evident from his words on Van Dyck’s tombstone in London: ‘Anthony van Dyck, who while he lived gave immortality to many’. The Self-portrait in the Rubens House is almost identical to that of The National Portrait Gallery in London, except that Anthony’s moustache in this portrait is turned upwards. Van Dyck shows himself to Charles I in a formal manner. The drooping moustache on the painting in London, however, is much more informal, which seems to suggest that the Antwerp master may have created it for himself. Until recently, the work was, due to it being repainted and re-framed in a rectangular mount, attributed to his successors. Research has now shown, though, that it is a real Van Dyck. Such a self-portrait was a real showpiece of the talents of an artist. The painter chose how he wanted to be seen. Profiling and vanity are certainly not only of our (Linkedin) time.